Since the early '80s, white-haired indie rock wizard J Mascis has been making ears bleed with the relentlessly loud guitar rock of Dinosaur Jr. 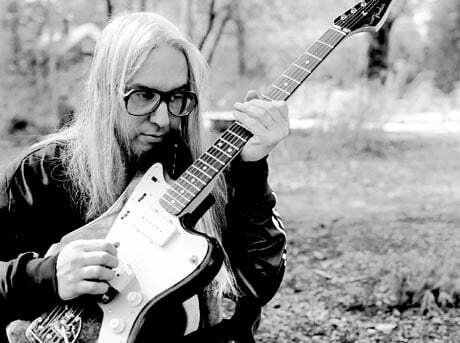 Pushing his Fender Jazzmaster to enormous volumes, Mascis has become synonymous with loud guitar rock. After 2007's Beyond and 2009's Farm, however, Mascis has decided to unplug his axe and record an acoustic album. The ten-track record is called Several Shades of Why and will be released by Sub Pop Records in the start of 2011. Details are scarce, but Pitchfork reports that the album is so stripped down that it doesn't even have any drums on it. Hopefully that doesn't mean the patented Mascis guitar solos are out of the question as well. Sub Pop will release Several Shades of Why on March 15. 2. "Several Shades of Why"
4. "Very Nervous and Love"